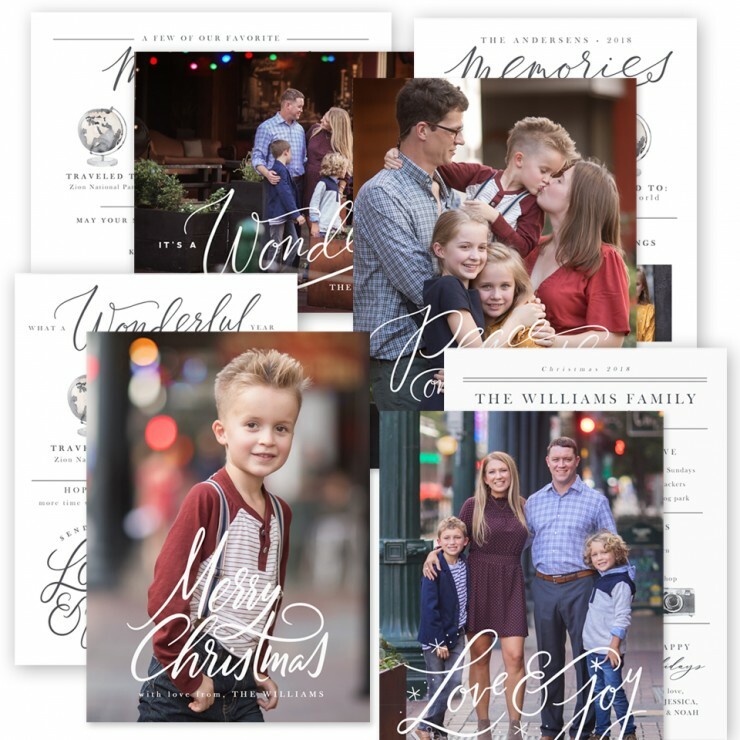 Introducing the new Christmas Memories 5x7 Image Box!! Use this to store cherished Christmas photos and/or other special heirlooms to pass down from one generation to the next. This would make a great client gift or personal gift for your loved ones! 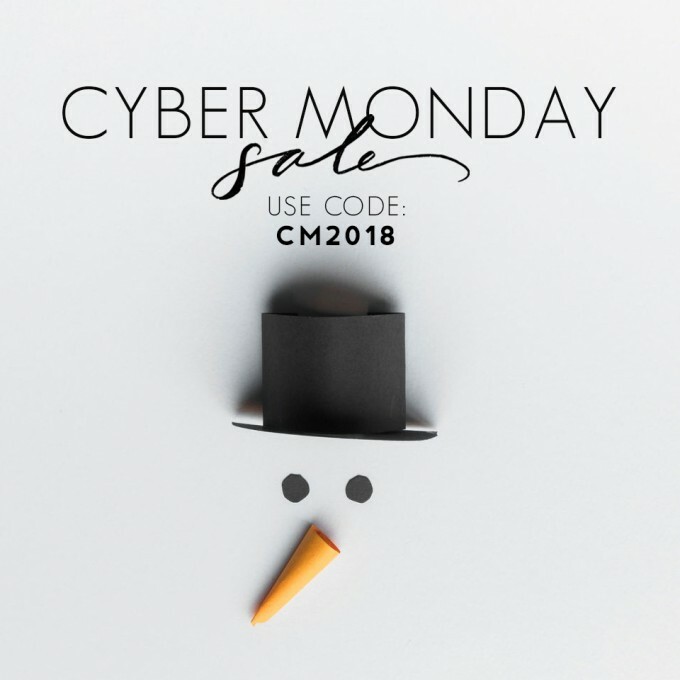 Click HERE to see the product in the store. Here's a peek at all the FREE GIFTS you'll receive with any purchase of $20 or more! Happy Thanksgiving, everyone! This year I'm especially grateful to belong to such a wonderful community of photographers. A sincere thank you to each and every one of you for allowing me to be a part of your business. 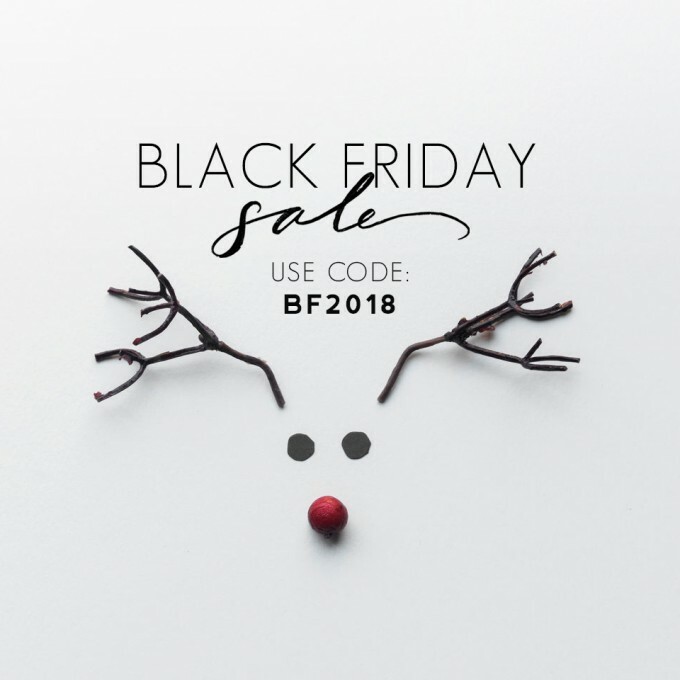 As a token of my appreciation, I'm offering a Black Friday Sale! 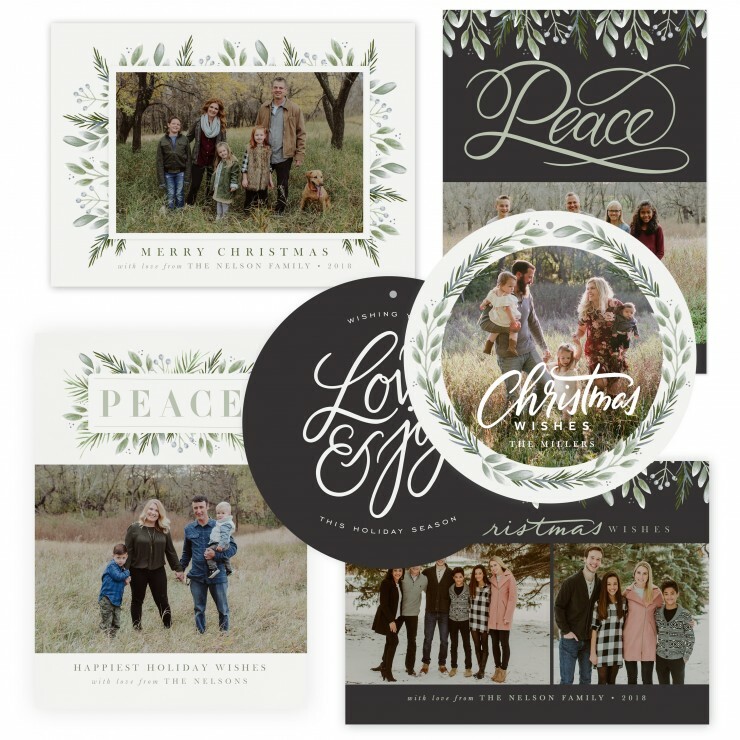 Take 50% off & receive a bundle of FREE GIFTS with any purchase of $20 or more! 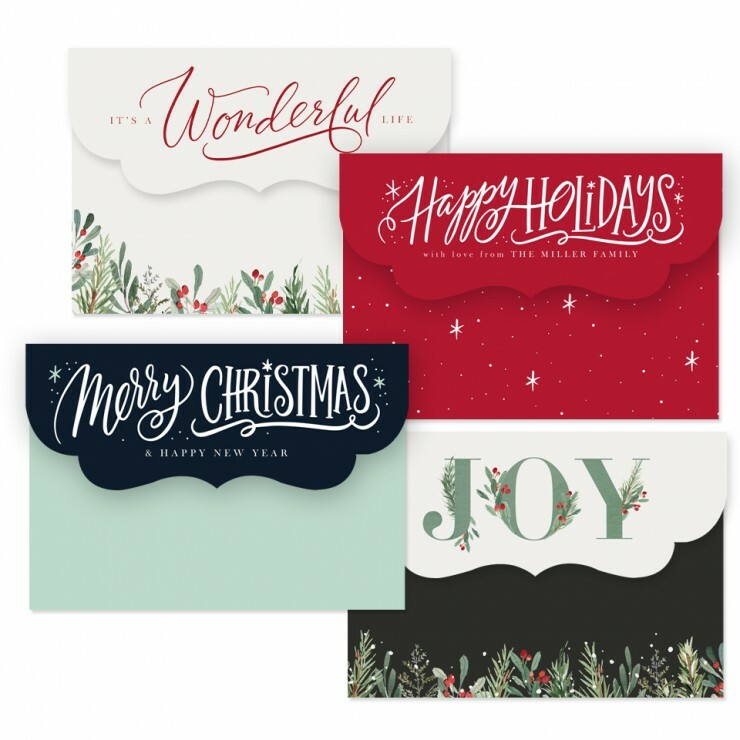 The snow is falling here in Wisconsin and it has me thinking of all things Christmas! 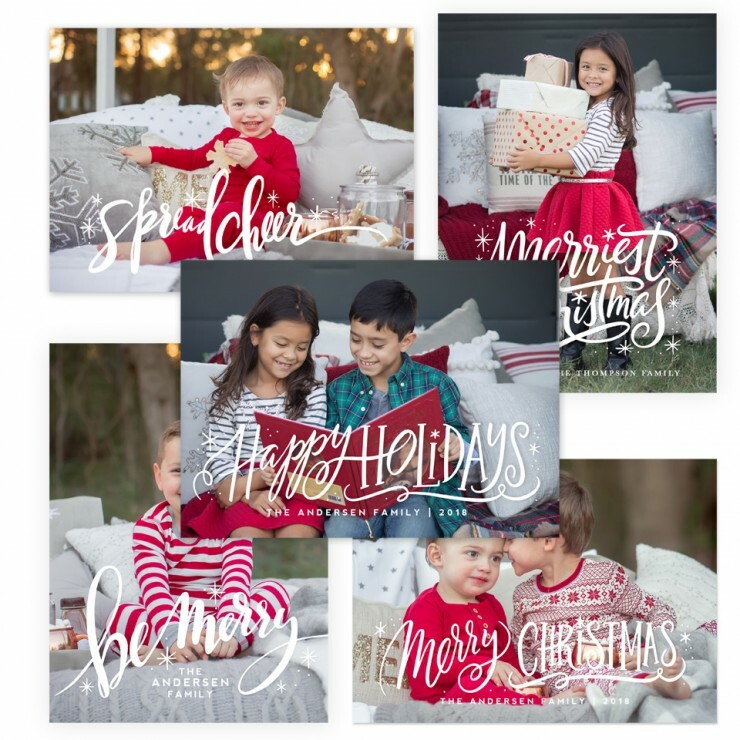 If you haven't visited the store in a while, I've launched several brand new card collections perfect for clients who want to send their holiday greetings featuring their favorite photos from their session with you! Here are a few of the top-selling collections so far this season! Click on any of the images below to see the entire collection in the store! 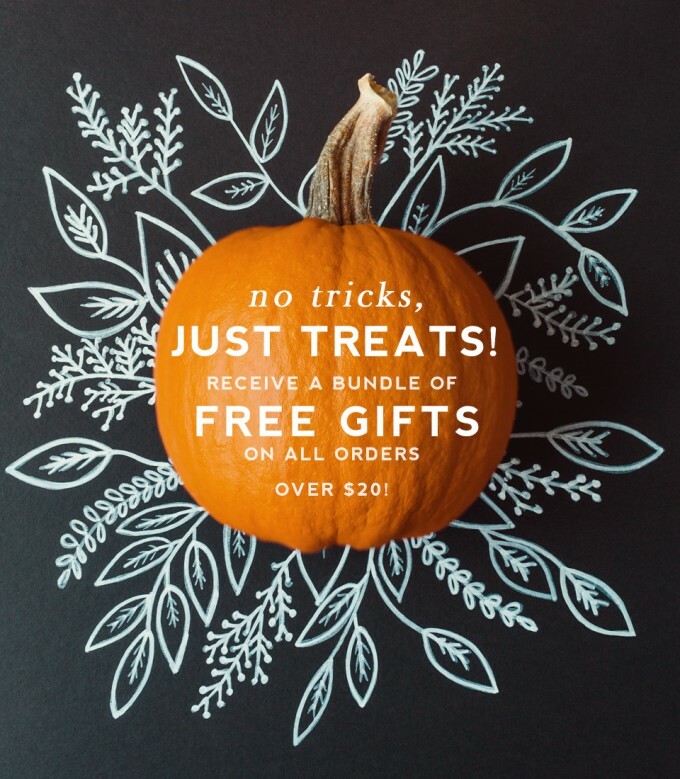 It's Halloween and I'm offering a bundle of treats with any purchase of $20 or more through tomorrow here at Jamie Schultz Designs! 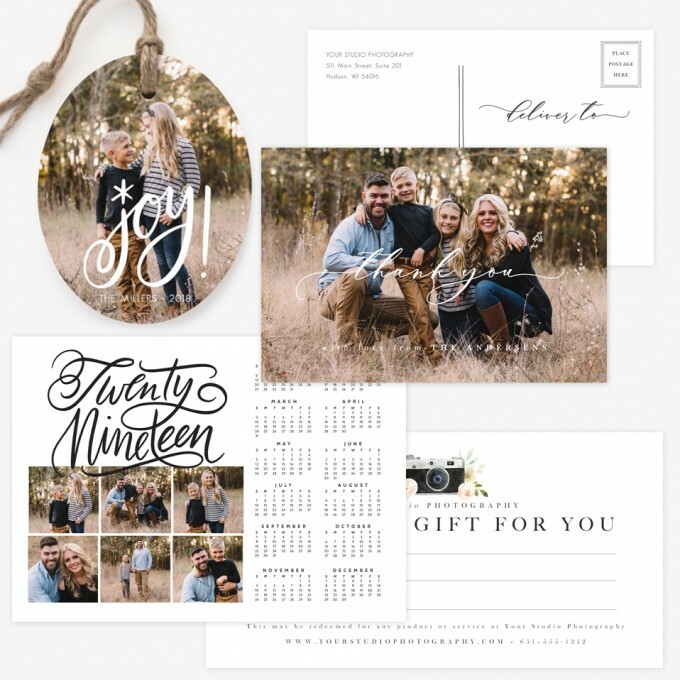 The bundle includes several items that would make the perfect client gifts this upcoming holiday season. 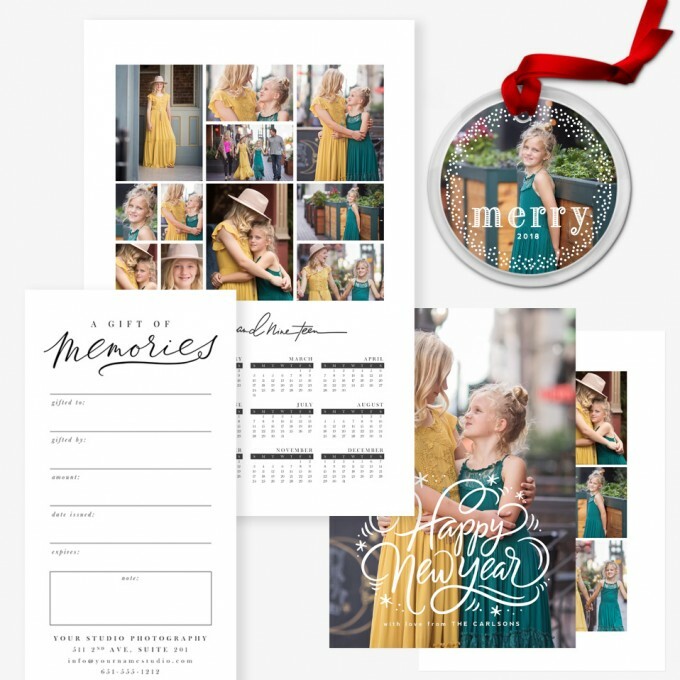 Gift your clients the 7x5 calendar with a little wooden or metal easel, include a custom ornament with their portrait order, print a pack of personalized thank you cards, or give your clients a gift certificate to use towards a future session! 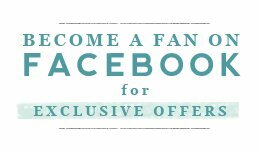 The goodies will automatically apply to your account with a qualifying order so no coupon code needed. 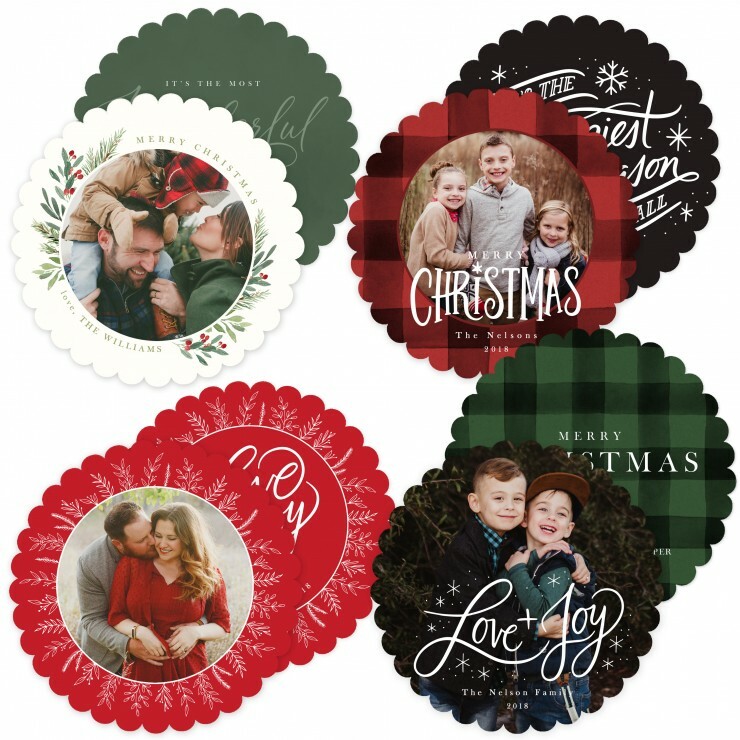 The ornament shown in the sample below is from Kodak Moments (they have GREAT ornament options)! 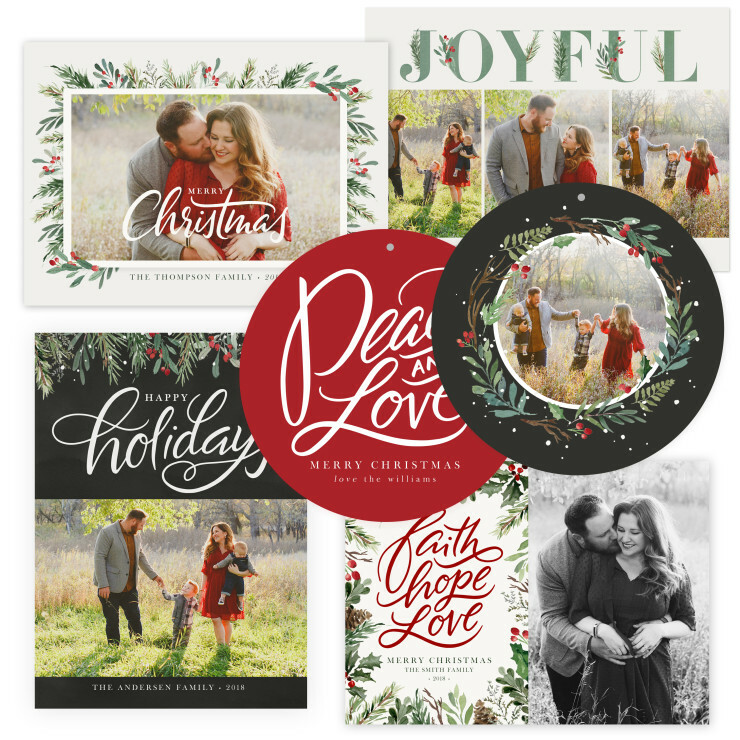 Here's a peek at the FREE GIFTS included with any purchase of $20 or more through tomorrow!